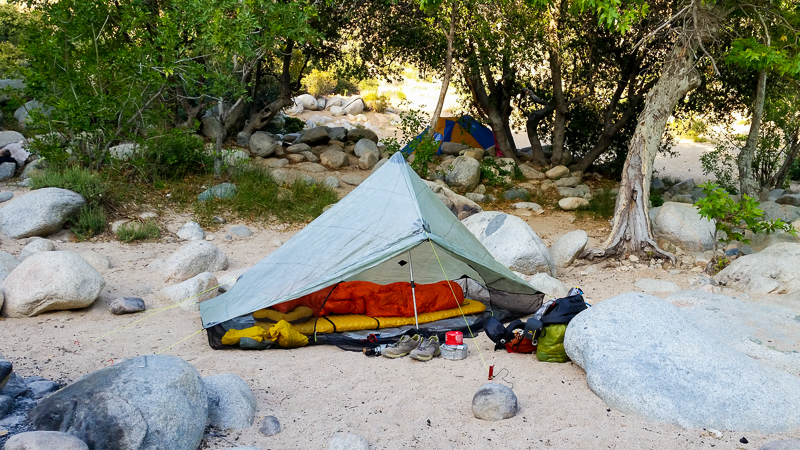 In backpacking equipment, the “big three” often referred to are your pack, shelter, and sleep system. They are key pieces of gear, and they are most likely the heaviest and priciest items on your gear list. 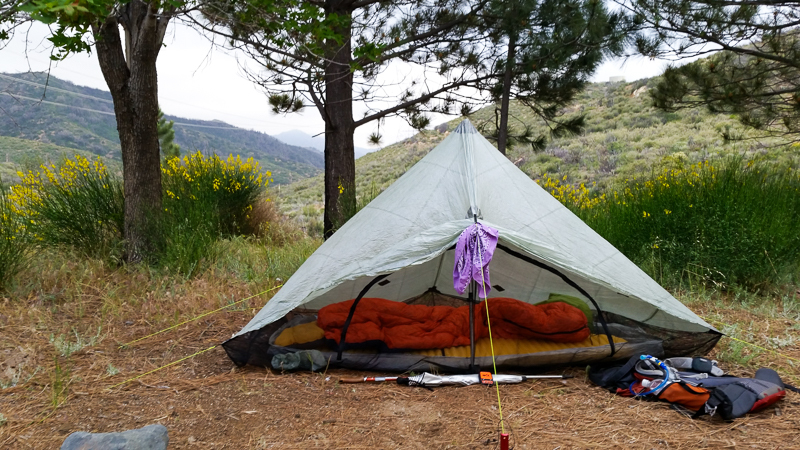 In my reviews of gear I used on the Pacific Crest Trail this year, I will start with these. I tested a 50L backpack from Gregory Packs throughout the PCT. It was light and comfortable and fit my needs perfectly, but unfortunately, I can’t share any more information until the pack comes out. I will be more than happy to share it with you then. Sorry! I used the ZPacks Hexamid Solo Plus for my shelter and I loved it. Made of cuben fiber and mesh, it was very lightweight. I started with the Solo, which was not quite big enough for me at 5’10”, but Joe from ZPacks traded me out for the Solo Plus a week into my hike at Trail Days, and the Plus had plenty of room. I could unpack everything and have room for my backpack to lay next to me inside the tent. There’s plenty of headroom too. I could just sit up in place from laying down, and not have to scoot around to keep my head from touching the ceiling. The only thing I kept outside were my shoes because the vestibule does not cover much. Another feature I loved was the removable floor: I always kept it on the outside of my pack during the day so I could sit or lay on it during breaks instead of sitting or laying right in the dirt. There was a bit of a learning curve in setting up the tent, but once I figured out the perfect pole height and angle (after about a week of use), setting up the Hexamid was a matter of maybe two minutes. I could go faster in bad weather if needed. I did go through some storms in this tent, but I was lucky enough to always have at least a partially sheltered campsite when that happened, and the tent did great. I can’t speak to being completely out in the open in a storm in it though. I’m sure it could just be set up lower to the ground to minimize any sideways rain or splashback coming in, and since the floor is floating, that could be moved around or angled to block rain as well. After being slept in for 122 nights, the only wear I can see is two quarter size holes in the mesh floor. One was definitely my fault, and the other one just appeared towards the end of my hike. Those can be easily patched with some Tenacious Tape. I used Vargo Titanium Tent Stakes, which are also very lightweight. The shepherd’s hook design isn’t the best in loose ground so there were some nights I had to secure them with rocks on top, but it was never a problem to find rocks. There was one night at an established campground where the gravel pad was just too hard for me to get the stakes in, but I also don’t like to hammer these in with rocks since they’re so skinny and could bend easily. It was nice weather so I just cowboy camped that night. I did also carry one MSR Blizzard Tent Stake, a wide snow stake for use as a trowel and emergency extra tent stake. I ended up using it as the main stake holding up my tent pole when I was camping on sand or other loose ground and it did very well. When using the shepherd’s hooks on windy nights, twice my tent pole fell on me in the night because the main stake worked loose. I switched to using this snow stake and that never happened again. Instead of a sleeping bag, I carried an Enlightened Equipment Revelation 10° quilt, 800 fill, regular width and length. It’s less material than a sleeping bag so it’s obviously lighter weight. On colder nights, I would have the footbox zipped up to my knees, the top cinched around my neck, and the middle of the quilt clipped into straps around my sleeping pad to keep the edges tucked under me. I never had any draft issues and was always warm (although many nights I did sleep with my puffy jacket on too). On warm nights, it could be opened completely flat. There was only one night I can remember where it was too hot to use at all. I kept my quilt in a Sea to Summit 13L Ultra-Sil Dry Sack at the bottom of my pack. The sack didn’t have much use on it before the PCT but I discovered that it was not, in fact, waterproof after all day rain/sleet/snow in the Sierra. Luckily, my quilt was still warm when partially wet. It may have been just that particular sack because I haven’t had a problem with others of the same kind. After that, I started using a Hefty Trash Compactor Bag as a pack liner. One bag lasted the rest of the thru hike, and it was also good for collecting laundry in town. I slept on the same Therm-a-rest NeoAir XLite sleeping pad that I used on more than half of the Appalachian Trail, in addition to months on many other trails. I prefer air pads to foam, and I find this one to be comfortable, warm enough outside of winter, and durable. The first time I used this pad, years ago, I was looking for a campsite in a rocky area just as it was getting dark and starting to rain, so my campsite selection was very poor and I punctured it in two spots. I patched it with the included repair kit when I got home and I’ve never had another issue. 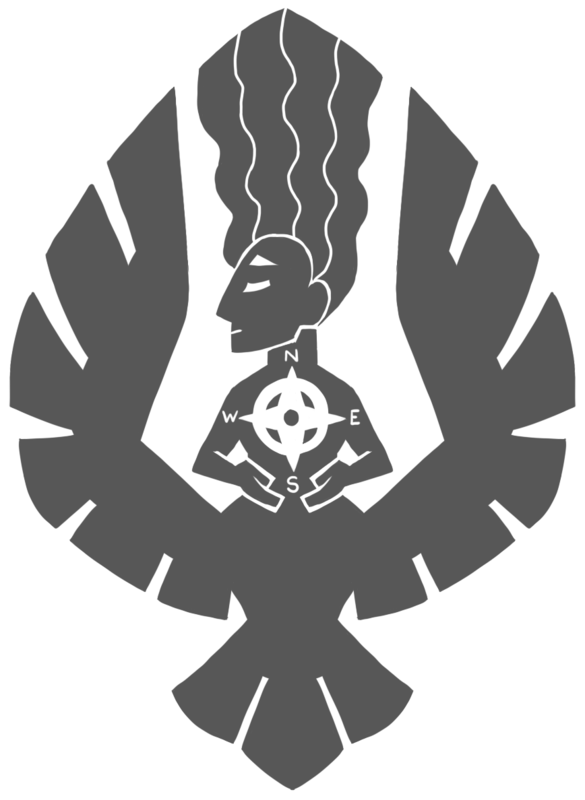 The original patches are still there too. The only problem with this pad is it makes some crinkling noises when I roll around. That doesn’t bother me but it can bother people I am sleeping near. A good pillow is key to my sleeping well so I carried the ExPed Air Pillow UL. The weight is negligible and the comfort is so worth it. I’ve never thought a stuff sack full of clothes or a bundled up puffy jacket were good enough. This particular pillow can be flipped around for maximum comfort depending on whether you’re sleeping on your back or side. The plastic doesn’t feel the greatest on my face so I would usually put my Buff around it as a pillow case. Stay tuned for Parts 2 and 3. 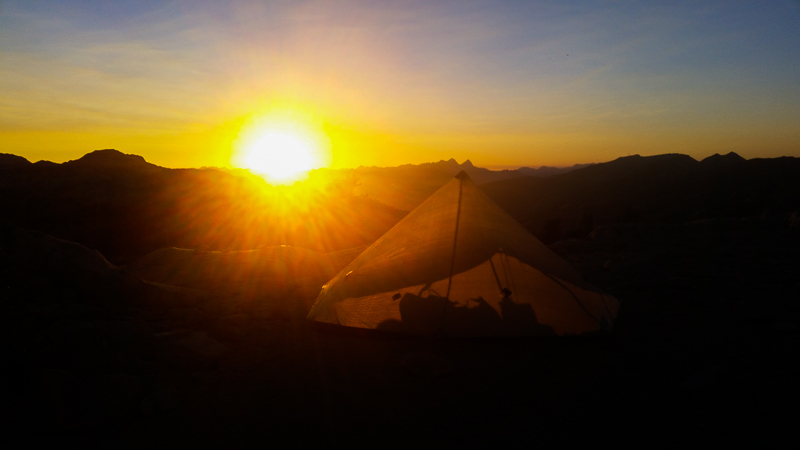 In the meantime, see my complete PCT gear list here. Amazing setup photoshoot. Work it tent, work it! These were the only pictures I had of tent, sleeping bag and pad, and they were from my phone. I could have sworn I took more campsite photos but apparently not. Great review! I’m glad to hear your XLite did well on the PCT … someone at one of our presentations said I would not be able to use my XLite on the PCT because of the terrain 🙁 But I’ve always been impressed with its durability thus far. Good to hear someone with experience speaks of its abilities. I had a lot of people tell me it wouldn’t be usable too, and I have no idea what they were talking about. I never had trouble finding pointy free ground to sleep on.